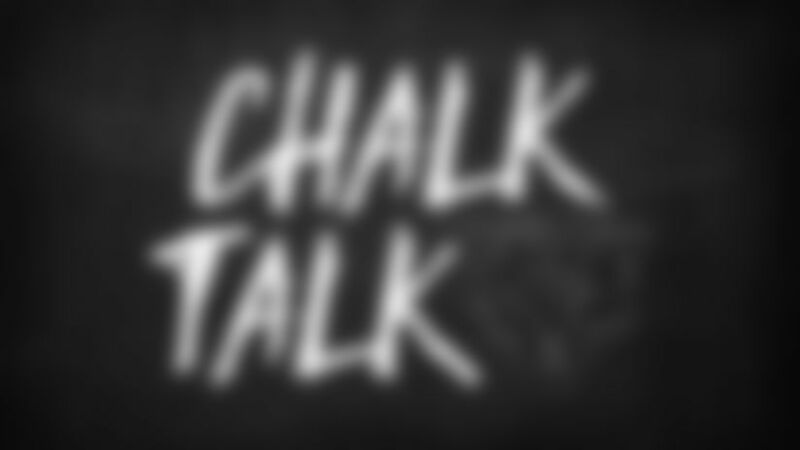 Chalk Talk: Could Smith play in preseason finale? With Roquan Smith not expected to play Saturday against the Chiefs, do you think he could make his preseason debut Thursday night versus the Bills? While key players across the NFL rarely if ever play in the preseason finale, Bears coach Matt Nagy acknowledged that it could be a possibility with first-round draft pick Roquan Smith given that he has yet to suit up for a game due to his contract holdout and subsequent hamstring tightness. Said Nagy: "I think his situation is a little bit different because he hasn't had the playing time. What we'll do is we'll monitor where he's at as far as his health, and if we feel like it's safe to get him reps, which he obviously needs, then we'll do that. If we think it's not safe, then we're not going to do it." Who do you think will lead the Bears in touchdown receptions this season? I'm guessing that this is a fantasy football question. Based on everything we've seen over the last month or so, I'd have to say that tight end Trey Burton will lead the Bears in touchdown catches this year. No one has developed a better rapport with quarterback Mitchell Trubisky to this point—something that was evident in the Bears' preseason win over the Broncos when they combined for four completions for 45 yards and one touchdown. And the Bears have made no secret of the fact that tight ends are featured in their new offense. If it isn't Burton, I'd probably go with receiver Allen Robinson II as my second choice. Who do you think will be the Bears' star of the game Saturday against the Chiefs? I'm going to predict that rookie receiver Anthony Miller has a breakout game. He's performed well consistently throughout training camp and made an impressive catch last Saturday in Denver, leaping between two veteran defenders to snag a pass from Mitchell Trubisky. I really believe that Miller will be a regular contributor as a rookie and expect him to stand out in Saturday's regular-season dress rehearsal against the Chiefs.